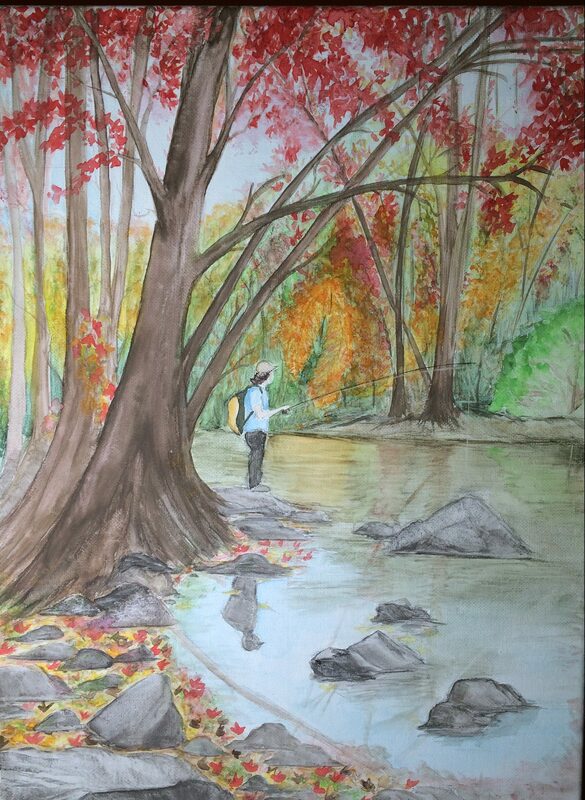 , inspired by a photo I took of my boyfriend fishing in the fall. The colors were so beautiful that day! 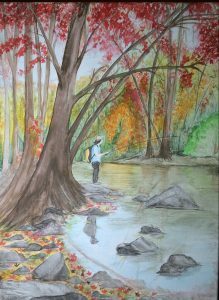 This piece has been sold!